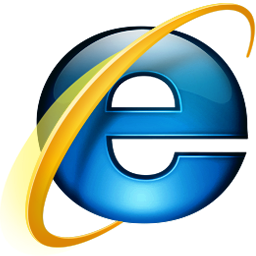 Internet Explorer is the most popular web browser with more than 40% market share. But It is known for its low performance. After few days of usage, condition goes worse and it frequently starts freezing and crashing. Most of the time it freezes and shows error saying “encountered a problem and has to close.” Sometimes it also shows Visual C++ “runtime error” warning message. Most of the time, virus and other malicious programs are responsible for this unresponsive behaviour of Internet Explorer. Virus modify settings of browser which make it work different and unresponsive. If Internet Explorer is your default web browser and you are also facing all these problems, you also wish to have an effective solution to this problem. You can reset your Internet Explorer to default settings to solve this problem. If you are not sure whether you can do it manually or not, you can use a nice Microsoft tool called Fix it. It will do it everything automatically. It is a portable tool so you can also carry it with you. Step 3: It will open Internet Option dialog box. Step 4: Now go to Advanced Tab. 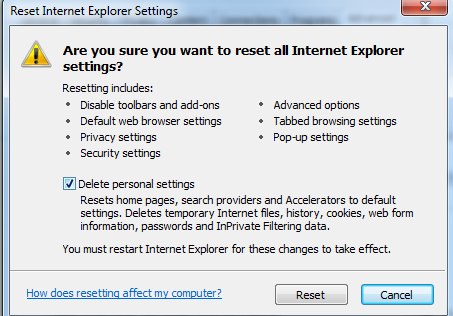 Step 5: Here see Reset option under the Reset Internet Explorer settings. Step 6: Now in new dialog box, select Delete Personal Settings and then click on Reset. 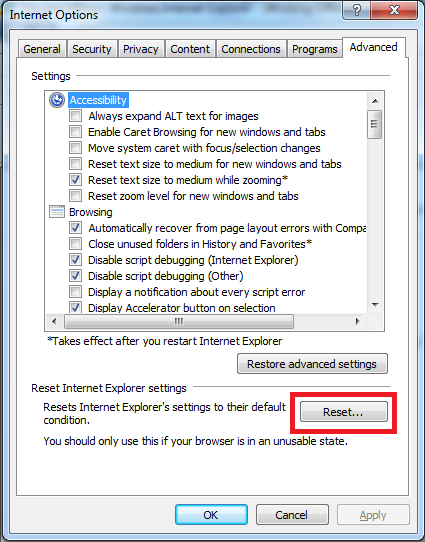 Step 7: When Internet Explorer finishes resetting the settings, click Close in the Reset Internet Explorer Settings dialog box. Step 8: Start Internet Explorer again to see the effect of changes. If the problem is still there and you can not see any changes, you can take comment below or take expert advice on UseThisTip ask community.